Need a quick and easy delicious dessert everyone will love? 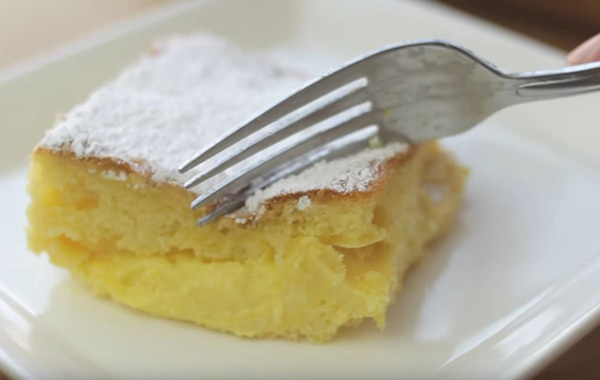 See how to make lemon pudding cake. This recipe is adapted from RecipeLion.com. A huge thank you for sharing this recipe as this is my ultimate favorite dessert now! This Unforgettable Lemon Pudding Cake takes your average lemon cake recipe to the next level! It’s an easy recipe with cake mix, so you don’t have to fuss over making a delicious dessert everyone will go crazy for. Take that box of lemon cake mix to the next level with this Unforgettable Lemon Pudding Cake! It’s a delicious and simple cake recipe that uses lemon cake mix with a lemon pudding filling. Assembling it is as easy as mixing the batters and pouring them into a pan. Once it’s baked, you’ll have a light and fluffy lemon cake with a creamy pudding filling. Serve it warm for a treat everyone is sure to love. Don’t miss our short video to see how easy it is! Thanks for checking out our “Real Simple To Make Lemon Pudding Cake You’ll LOVE” recipe. If you found it useful please consider sharing it on Facebook and pinning it to your relevant Pinterest boards, this will help spread the word and help hundreds of people see this info too. See you on the next one!